This was the 3rd broadcast of Bushiroad Music Party. The first song they played was "Mainichi Climax" by Milky Holmes. Sawako said she was on the broadcast team in high school. They went to the broadcast booth once a week during lunch, and played songs. Before playing the second song, they showed a short video message by Milky Holmes. 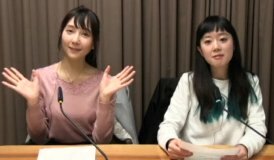 Suzuko did most of the talking, and they talked about the CD package containing 61 songs and the upcoming final live. Then they played the song "Beyond the Milky Way". 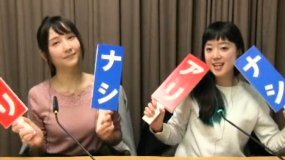 The next corner was the "ari nashi" corner, and they had two topics, both of which Sawako and Haruka disagreed on. The request song was "Yume no Hikari Kimi no Mirai" by Aiba Aina. This was a theme song to Future Card Buddy Fight. 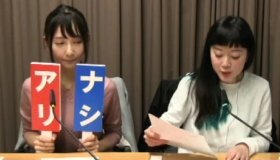 At the end, they read some information about upcoming CDs, including the Boy's Bang Dream CD.